CHIPOLOPOLO and Zesco United hitman Winston Kalengo has joined Congo Brazzaville champions AC Leopards on a one-year deal that effectively rules him out of the Rwanda 2016 African Nations Championship (CHAN) finals that start next month. Meanwhile, Zesco has registered three foreign players for this year’s continental football competition and released former Zambian international Clifford Mulenga after he failed to impress the Ndola side. Zesco United secretary Justin Mumba confirmed the deal in a statement, saying the move was made in Kalengo’s interest considering that there were several offers from various clubs across the continent. Mumba said Kalengo picked on Congo Brazzaville on his own, adding that the offer also had the best personal emoluments of all that the club received. “From the offers we got for Kalengo, he chose this one because it had the best conditions and as a club we will support him. He has been an instrumental player in the years he has been here and we are happy that his hard work is paying off,” he said. Kalengo, who was instrumental in the CHAN qualifiers and Zesco’s winning of the league title will return to the Ndola giants at the end of his contract. At Zesco he has since endorsed Lazarous Kambole to take over his role, saying the young striker had all it takes to shine and fit into his boots without any trouble. “I have confidence in the young man and I am sure he will one day make headlines. I would like him to take my number next year and therefore I would like to take this opportunity to ask the club to give Lazarous jersey 10,” Kalengo said. He backed Zesco to go far in the CAF 2016 Champions League competition since the team was good and strong in all areas. “I’m certain Zesco United will go far in the Champions League as well as in the Local league next year because there is good competition in the team which results from hard work,” he said. And Mulenga has been released by Zesco while banned Kondwani Mtonga has made a dramatic comeback but will be on the sidelines waiting for his suspension by FIFA to be lifted. 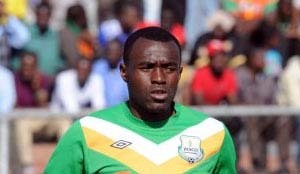 According to a list released by club spokesperson Katebe Chengo, Zesco have acquired the four new foreign players including Idris Mbombo to add to the other three already at Zesco. These are Mbombo, a striker on a year-long loan from Kabwe Warriors, Anthony Akumu a Kenyan midfielder bought from Sudanese club Al Khartoum. Also joining Zesco is Jesse Jackson, another Kenyan from Tusker, and Ben Adama, an Ivorian who is former captain of Guinea’s AC Kaloum who is a free agent. Katebe said Green Eagles player, Mwila Phiri junior will be at the club this year on loan and that striker Jackson Mwanza will not be going to Thailand after UBON UMT United failed to secure his visa and work permit.